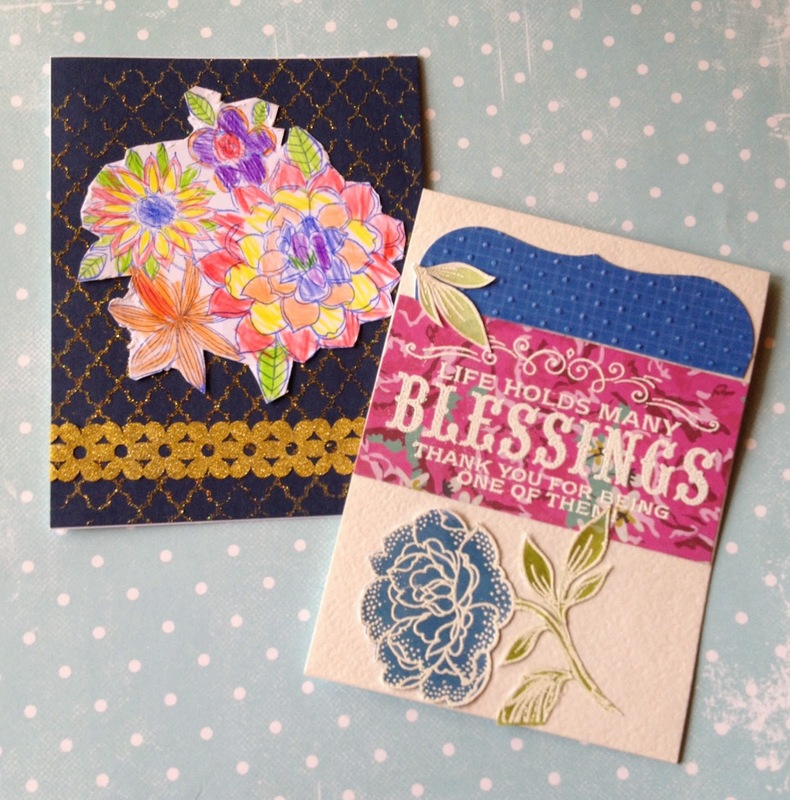 Scrapbooking turns out to be a useful skill when you need a quick birthday gift. I had my hands full I needed to do while my husband was away on a business trip. So my oldest son Yegor came to rescue. We needed some good pictures of the birthday girl and we had none. So we came up with an idea to use the pictures that were publicly available on the Instagram. Yegor is studying programming so he knew how to download the pictures. He also whent to the nearest printshop and had them printed and trimmed to square shape. What a helper! 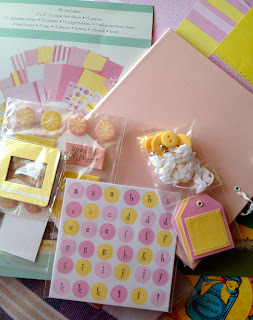 I had a pink & yellow baby scrapbook kit I did not quite like and was going to give away. But as it was a quality product I decided I should simply alter the pink cover. So I sat down and worked from 8 pm and was done by 1 am. 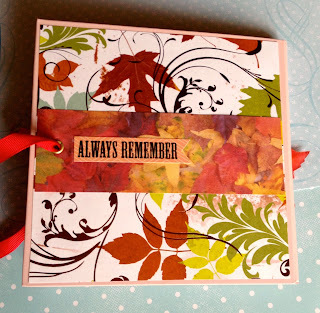 It turned out beautifully and made a great gift to special friends. The following day we had so much fun at the birthday party with lots of guests and a hand-made pinata fish. 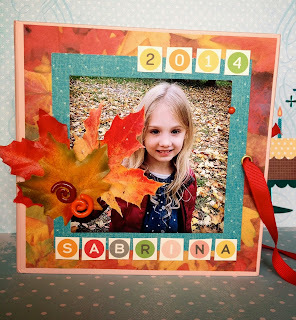 The 6X6 paper pads work great for this kind of albums as I even did not have to trim the backgrounds. They fitted exactly the size of the album pages. The letters on the cover were cut out of a pp from Travel Girl pad by October afternoon, I also used papers from Oxford Lane and Cambridge Court by My Mind's eye. This is the back of the album. 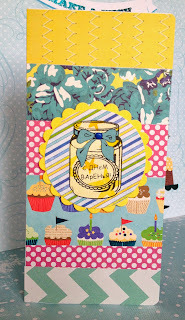 And a scrappy birthday card. My 5 y.o. son loves to make cards. So he is welcome to use the leftover scraps. Your sons cards are so lovely - wow!